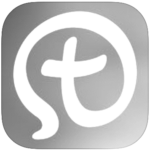 Learn more about virtue, and what you can do more of during Lent! Sunday: 8:30 am, 10:30 am, 12:30 pm, 2:30 pm (Spanish), and 7:00 pm. 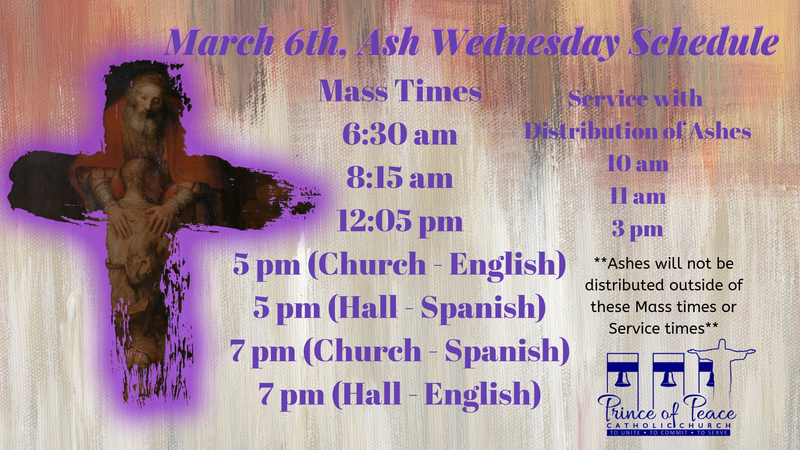 Ever wondered about Ash Wednesday? 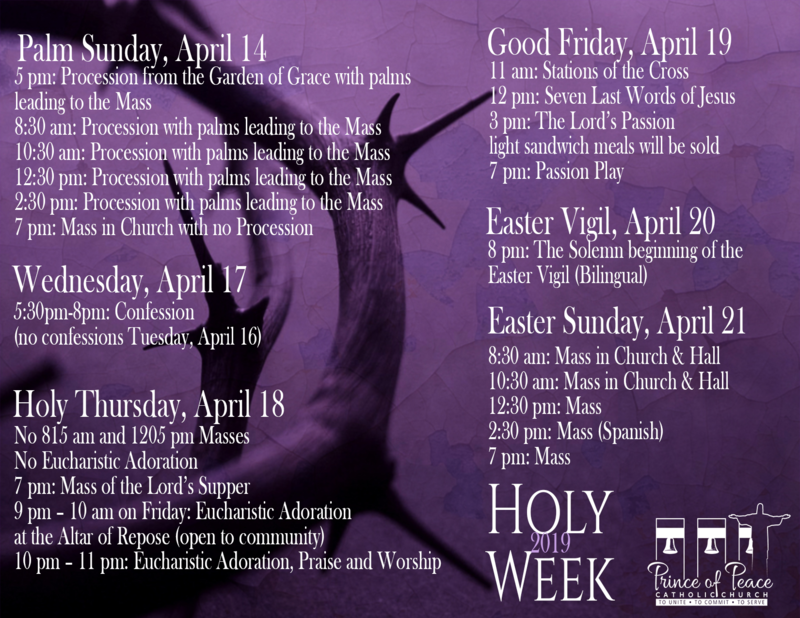 Our pastor at Prince of Peace, Father Rodolfo explains Ash Wednesday, and why we "get" ashes. Are you new? Learn more about becoming parishioner.